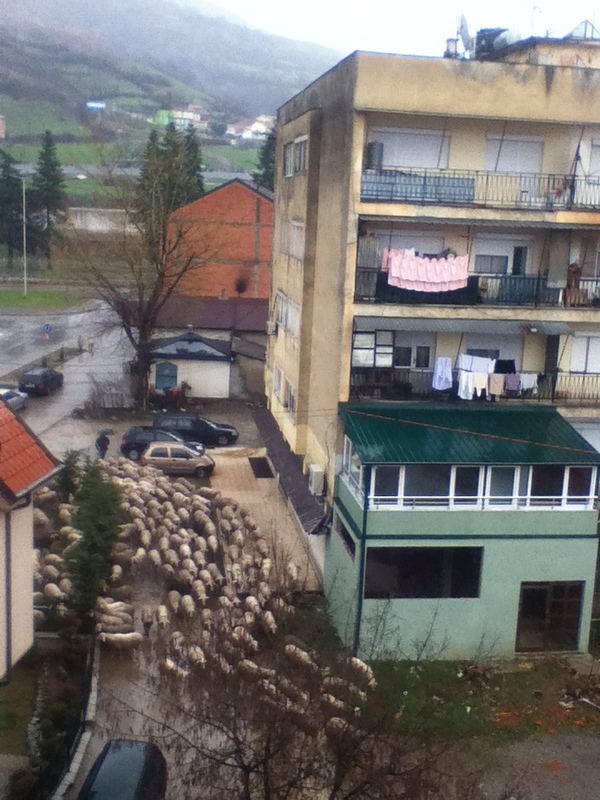 Another Day in Macedonia…Oh! Wait, it’s Easter! Living in foreign country with different cultures and religions, it can sometime be difficult to keep up with one’s traditional holiday calendar, which is how I almost forgot that today is Easter. Without the commercial buildup found in America, or making plans with family and friends for celebrations, I have become a bit unmoored from my holiday schedule. Orthodox Easter takes place next Sunday this year, and most members of my community are Muslim and thus do not celebrate Easter. Today seems like any other Sunday. The shepherds are out and about, regardless of the sleeting rain pouring down on them. When there was a break in the weather, my neighbors seize the opportunity to air out their bedding. Little boys race out to buy loves of bread for breakfast for their families. Last year, I had traveled to Ohrid to attend the Catholic Easter service. This year I stayed in my community, and visited with one of the families that I am friends with for tea. And that was about it. I called and sent messages to my friends and family, and that was that. A quiet Easter abroad.